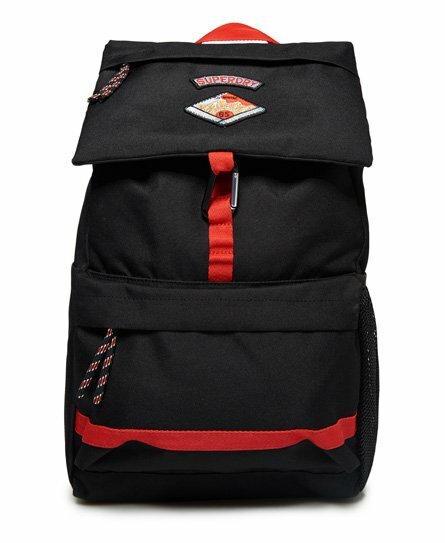 Superdry men’s Coleman backpack. 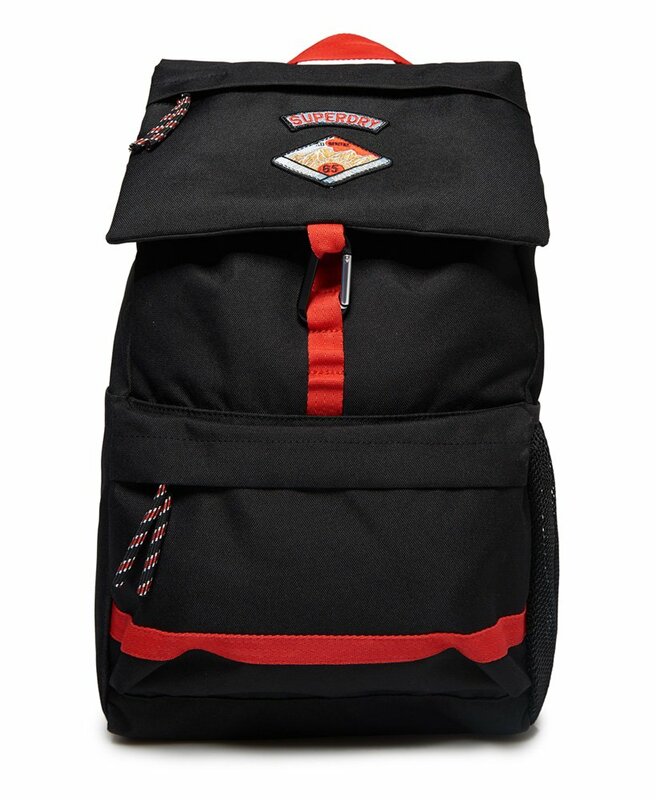 This backpack is perfect for storing your essentials on those camping trips and features a fold-over opening with a hook clasp, a padded back and adjustable straps and a front zip fastened pocket. The Coleman backpack also features a zip fastened pocket on the fold-over opening and two side pockets, one with mesh detailing. This backpack is finished with several applique Superdry logo badges.